When your family's love for fun isn't limited to one activity, you need a boat that's ready to tackle a variety of pursuits. 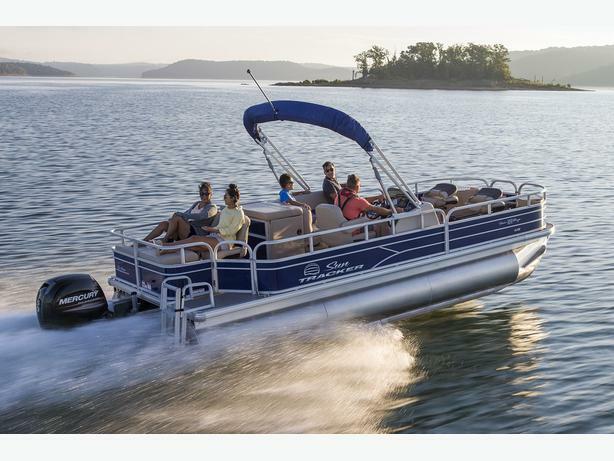 Welcome to the FISHIN' BARGE® 22 XP3, a unique pontoon boat with a multitude of specialties. Above the water, she's a full-fledged family fishing boat, inviting your crew to grab some rods and reel in the fun. Or, just sit back in the shade of the Bimini top and relax away the day in comfort. Below the water, though, the FISHIN' BARGE 22 XP3 is all about performance. With three performance logs and a 150-horsepower rating, she has plenty of get-up-and-go to get you far away from the shore as fast as possible. One boat. Multiple activities. And years upon years of countless memories.